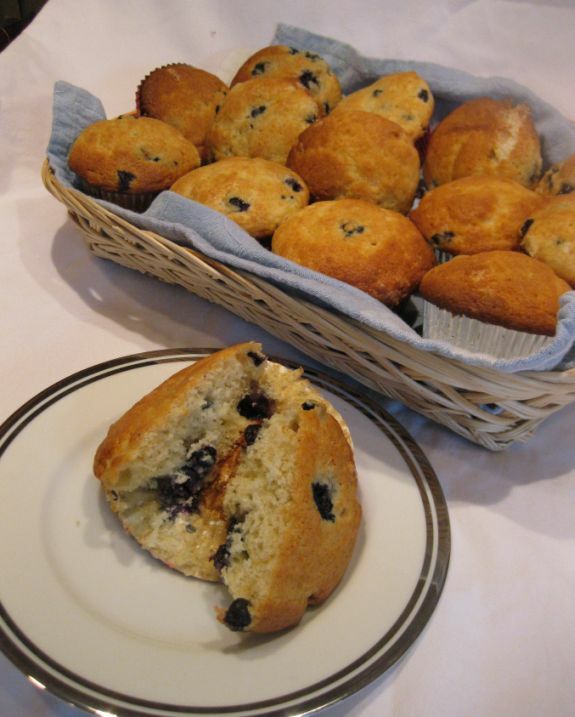 If you like blueberry try then you will definitely love these blueberry muffins! 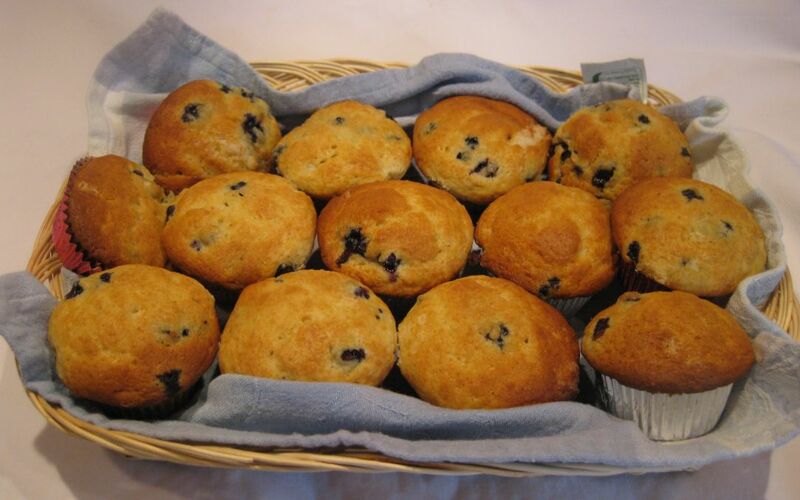 These muffins are so delicious and perfect for Breakfast. 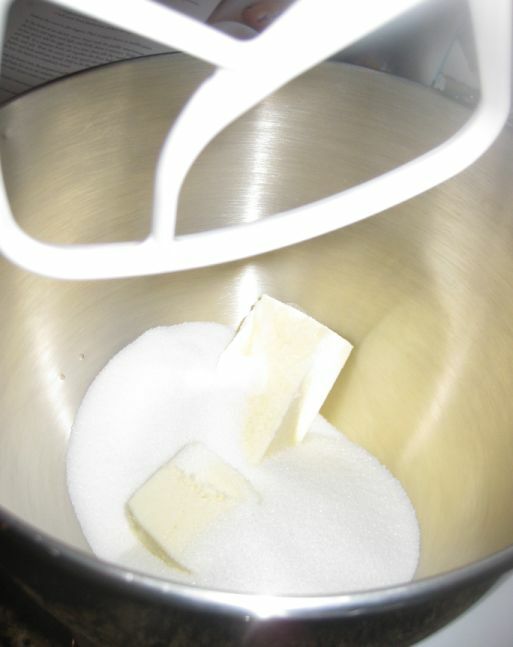 You could made up the batter the night before, covered in a bowl with cling wrap, and then baked them off the next morning. 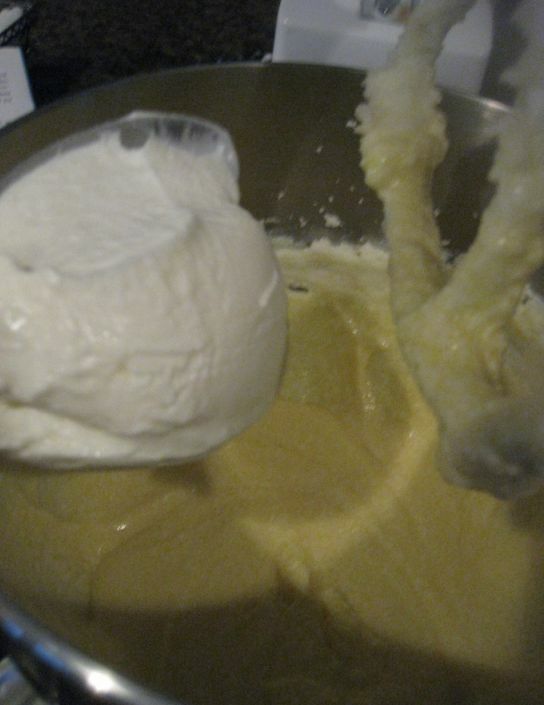 I baked 2/3 of the batch right away because I am bringing them to a party, and then save the remaining batter for the next morning, so that I have a warm breakfast with a side of fruit for my family and with a lot less work and clean up in the morning!! 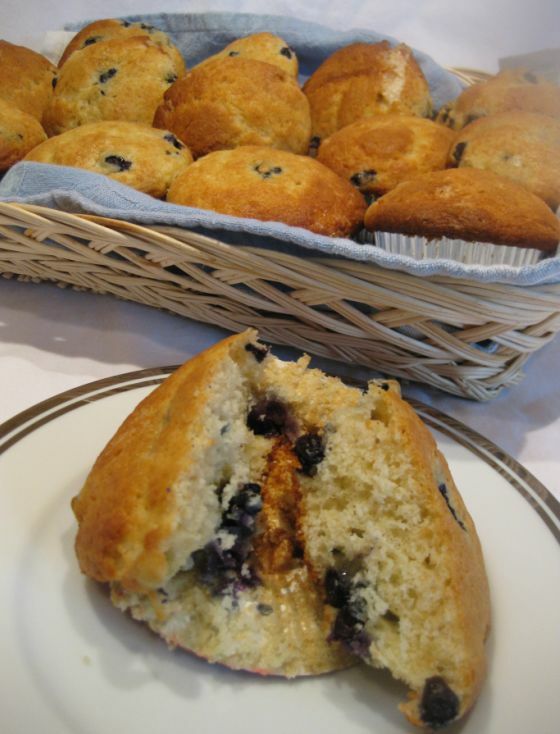 The muffins were light and fluffy, sweet, tart, easy to make and they were ready very quickly! 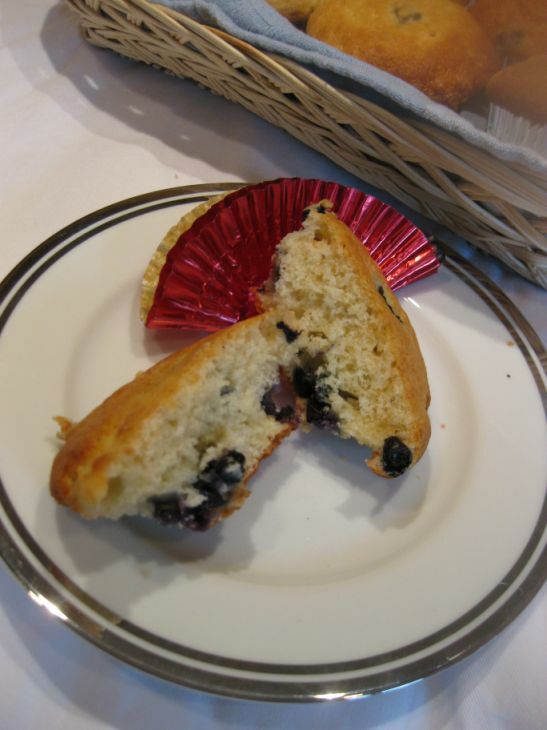 The muffins are actually the best muffins ever... as good or even better than any bakery! 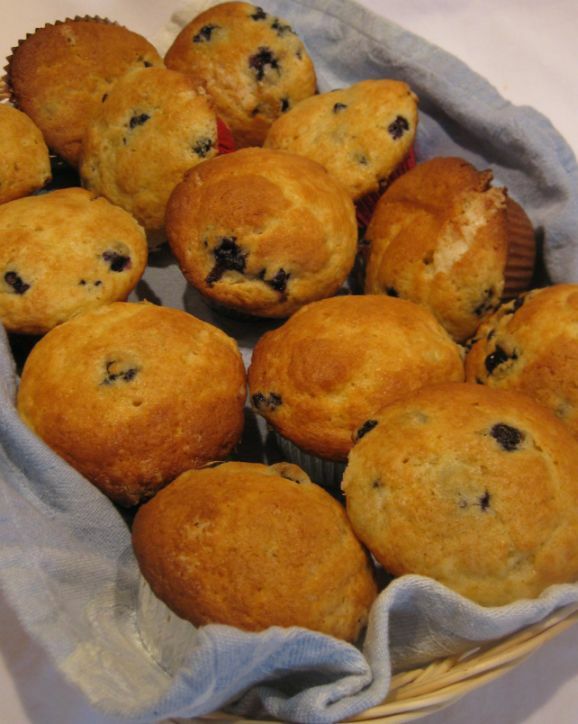 Close look at the muffins. 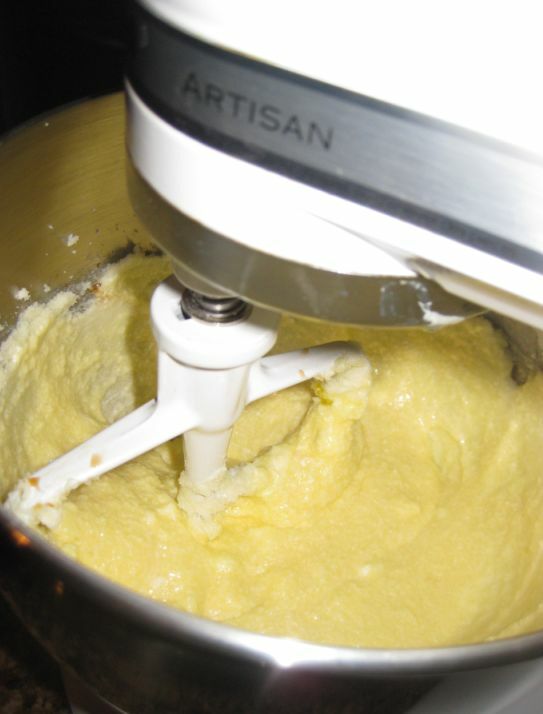 In the bowl of an electric mixer fitted with the paddle attachment add the butter and sugar. 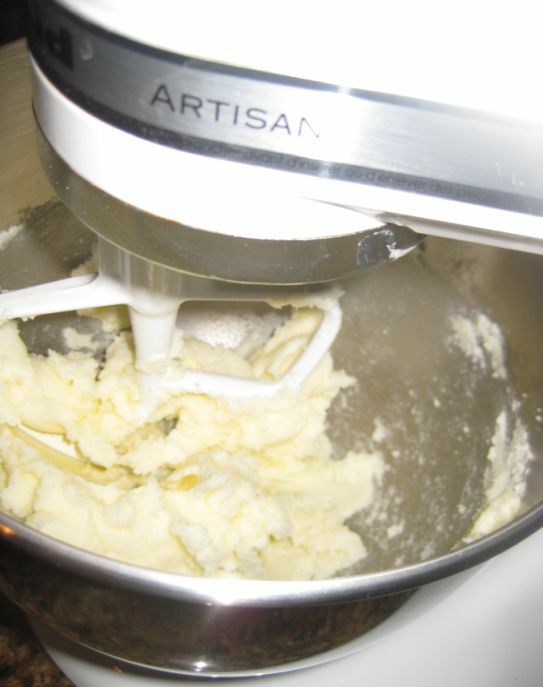 With the mixer on low speed, add the eggs 1 at a time. 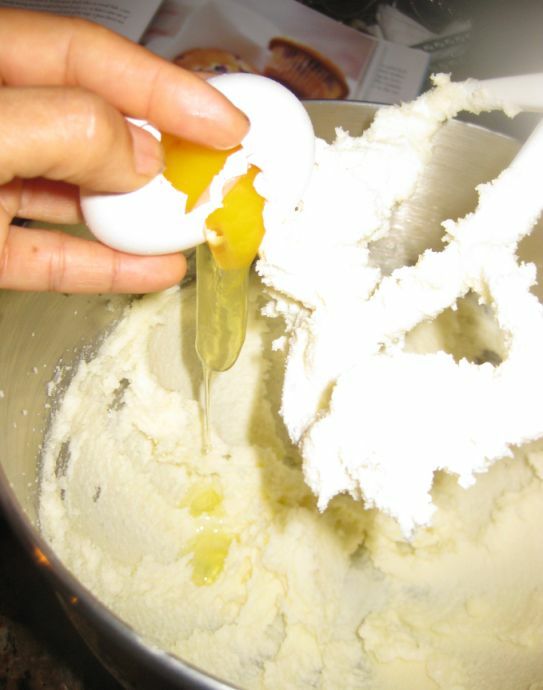 Keep mixing until the egg is well incorporate. 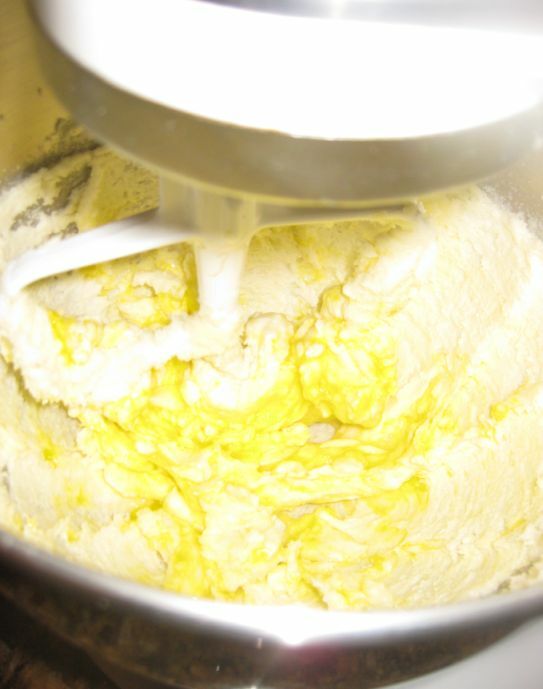 Add the 2nd egg. 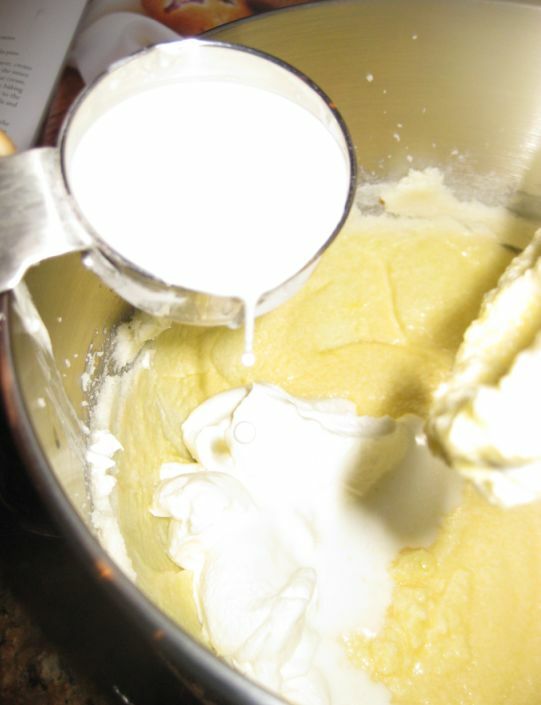 Mix well and add the third egg and keep mixing until well incorporated. 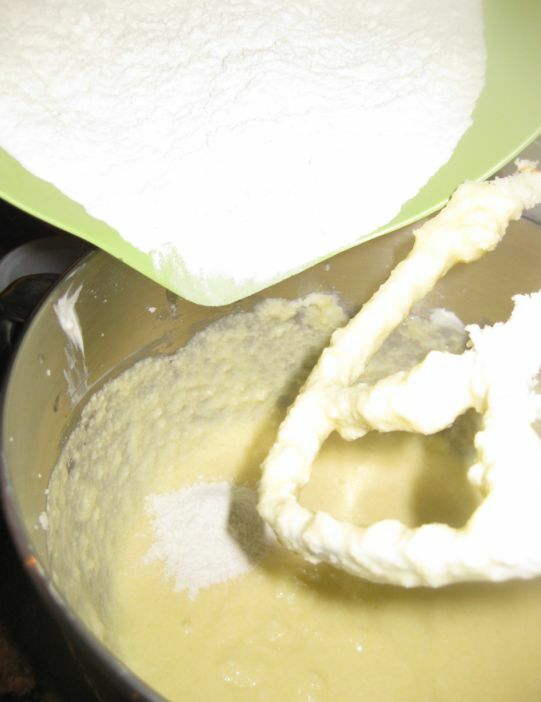 Keep mixing until well incorporated. 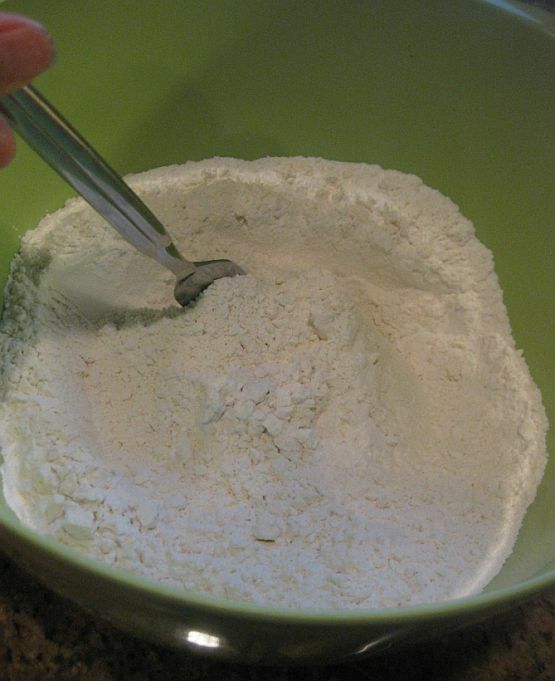 In a separate bowl, sift together the flour, baking powder, baking soda, and salt. 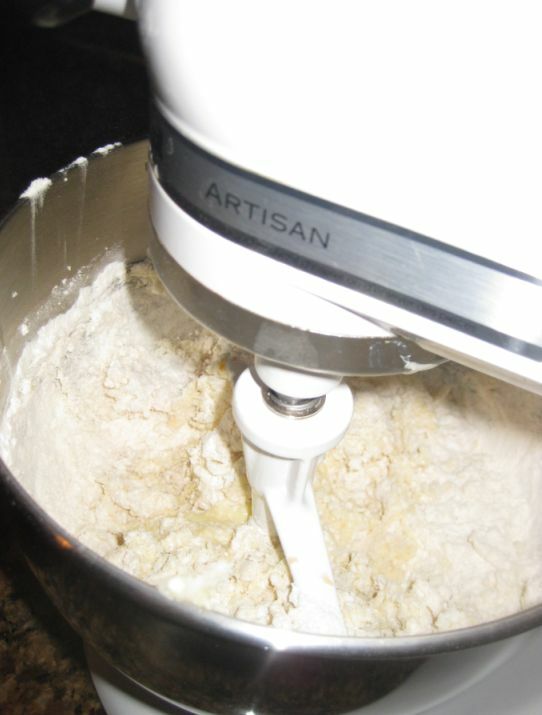 With the mixer on low speed add the flour mixture to the batter. 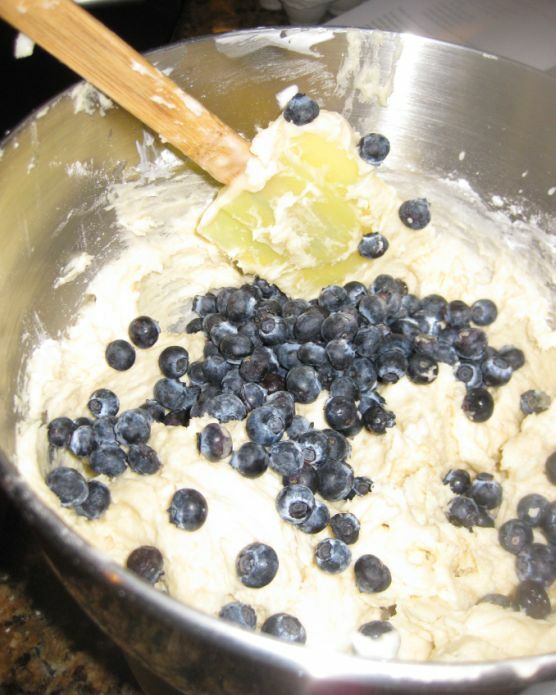 Fold in the blueberries with a spatula and be sure the batter is completely mixed. 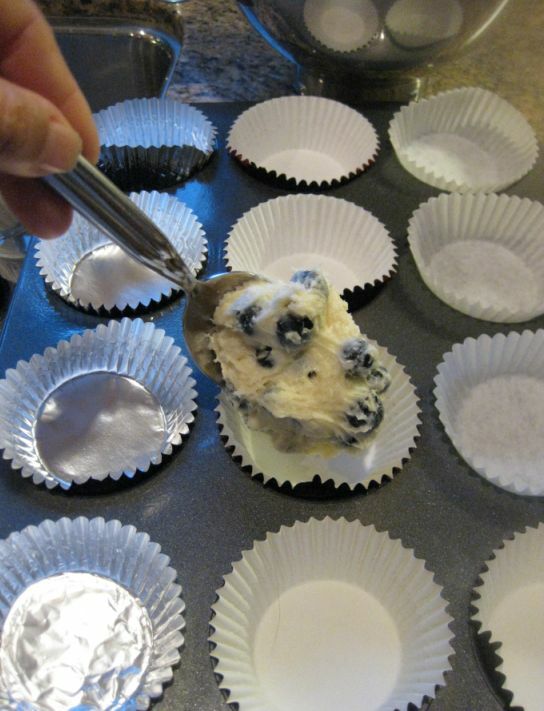 Scoop the batter into the prepared muffin pans, filling each cup just over the top. 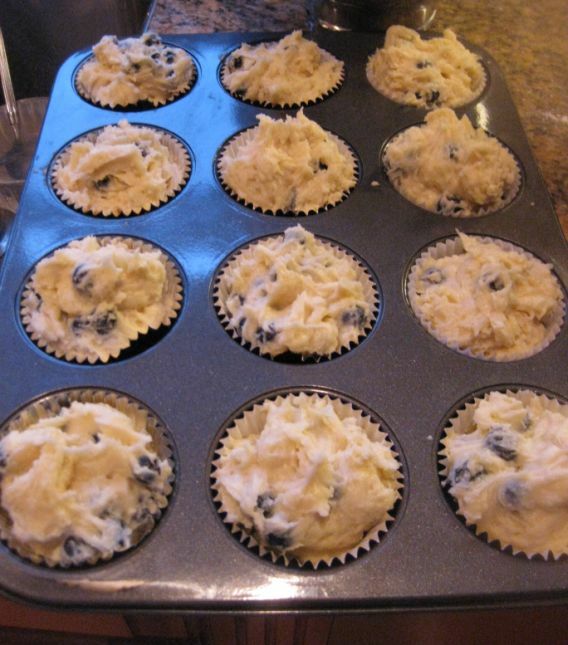 The muffins going into the preheated oven. 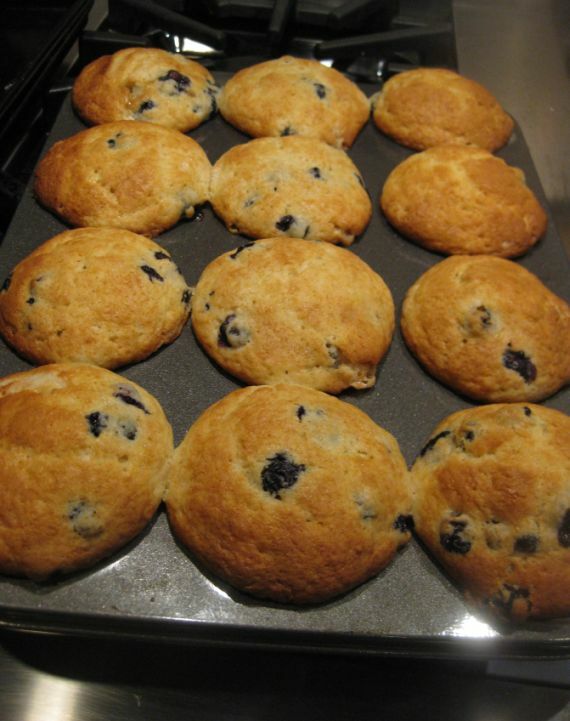 Bake for 25 to 30 minutes, until the muffins are lightly browned on top.